At the same time the provincial government was facing a devastating financial crisis due to reduced transfer payments from the Federal level. This crisis resulted in school grants being cut by as much as twelve percent in one year. The Board, wishing to protect the system and its quality programs sought creative ways to engage the community in assisting with solutions to the financial crisis it was facing. It was out of these two situations that the Saskatoon Catholic Schools Foundation was born. It was proposed as a possible way to engage caring people in novel and exciting activities which hopefully would also provide additional funds for spiritual growth, leadership initiatives and enhanced educational excellence programs for students attending Saskatoon Catholic Schools. Shortly thereafter, in 1993, the first Foundation Board was established with Morris Smysnuik as Chair, Father Len Morand as Vice-Chair and Margaret Schwab as Secretary. Also on the Board were Sister Juliana Heisler, Sharon Chicoose, Ed Werbicki, Phil Muench, Marie Weiss, and student directors Lindsay Earle and Jason Zabinsky. The Foundation is forever indebted to these individuals for letting their names stand and for believing in the dream. The primary goals of the Foundation were reached when it received a charitable number effective January 1, 1994 and incorporated status in June 1994. In June 1997 Marie Weiss traded in her Board membership to become the first Foundation Office Manager. Her commitment and organizational skills were timely and much appreciated. The dream was taking shape and several goals were met but the reality still depended on “friend-raising” and “fund-raising”. Over the next few years with the generous assistance of many schools staff members as well as members of the Catholic and wider Saskatoon community the “friend” and “fund” raisers grew at a rapid rate. They included the: Share the Spirit Gala Dinner; Share the Spirit August Golf Classic; Founders’ Circle Staff Contribution Initiative; Schools Win Twice Raffle; Swing into Spring Fashion Show & Dinner; Scholarship-Bursary-Awards Program; Planned Giving Program; Donor Recognition Initiatives; Flow Through Grants Program and many other programs/projects developed in recent years. Fundraisers have meaning and usefulness only insofar as the funds are distributed to support the goals of the Foundation. Since 1993 over 6 million one hundred thousand dollars has been distributed; that is an amount of which we can all be proud. These funds have been used to support school retreats, liturgies, masses, rosary clubs, prayer corners, prayer books, faith based art, Leadership Conferences, scholarships, Ed and May Scissons Environmental Education Centre, nourishment programs, daycare centers, and many other programs. 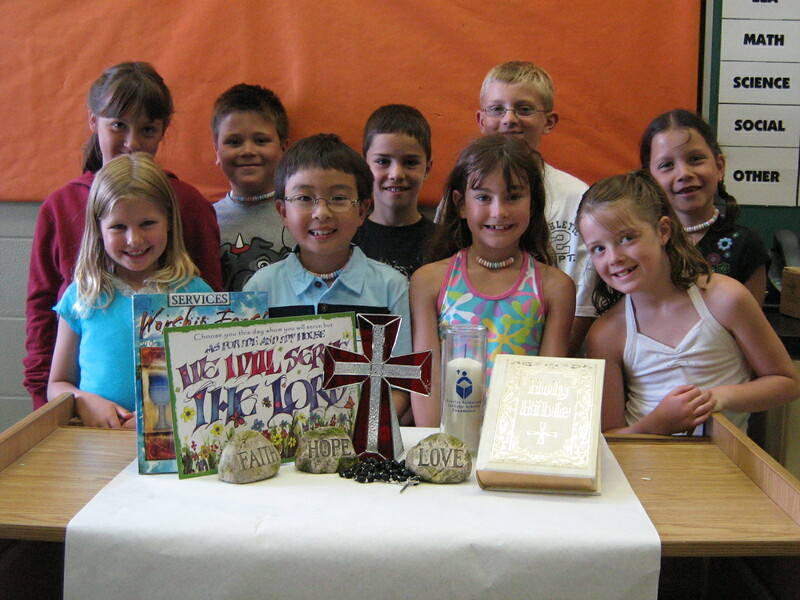 The Foundation has been and continues to be blessed by caring and committed Bishops, clergy, parents, Foundation Chairs, Directors, Student Directors, Office staff, Executive Administrators, Board Office and school personnel, elementary and high school students, School Board Trustees, Directors of Education, Catholic and Greater Saskatoon Community members. You are the heart of the Foundation. With your continued assistance the Foundation will grow, serve and support the faith based education we all cherish.